-- Select a Size/Color -- Size 8 - Out of Stock! Size 10 Size 12 Size 14 - Out of Stock! Size 16 - Out of Stock! Size 18 - Out of Stock! Size 20 Size 22 - Out of Stock! Size 24 - Out of Stock! 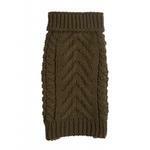 Keep your dog warm this fall and winter season with this comfy super Chunky Turtleneck Dog Sweater in Olive! 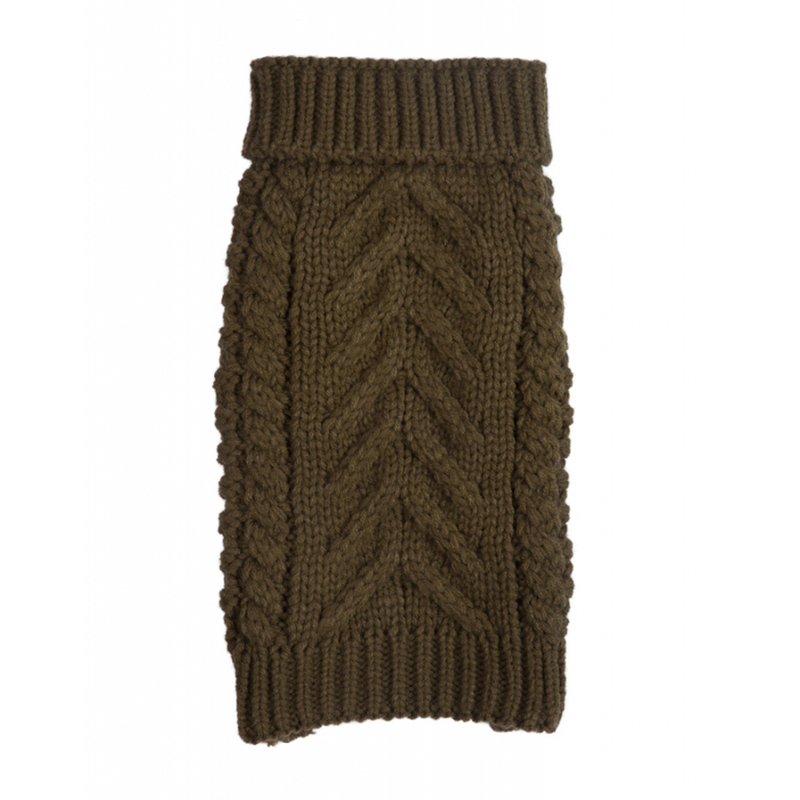 Dogs will stay warm and show off their designer side with the Chunky Turtleneck Dog Sweater by fabdog®! All of our products are made with the finest materials and safest hardware. With quality in mind, our expert craftsmanship and exclusive designs sets us apart from the pack. Our incredibly versatile collections run the gamut from classic chic to hip and edgy and everything in between. No matter what the occasion, fabdog® features the perfect look. Posted On 06/02/17 by Nancy D from Warwick, RI Yes, Nancy D recommends this product! Love this sweater. Fits well around our dog's chunky neck. Very nice quality too. I love the Chunky Turtleneck Dog Sweater on my Chinese Crested!!! It looks adorable on her and is made very well!!! Posted On 01/17/17 by Sarita H from Sharon, MA Yes, Sarita H recommends this product! We are very pleased with this sweater, both in fit and quality. We bought this for our male cocker spaniel who wears a Size 20. It fits him perfectly. Love love love the outfits and accessories. .just wish the shipping was a little less!